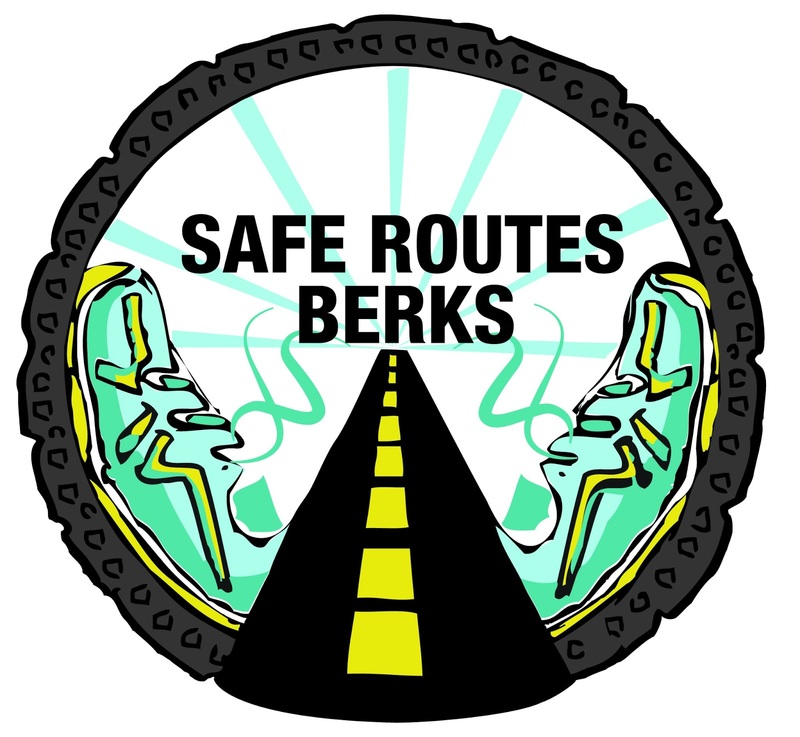 Join WalkBikeBerks for our 5th anniversary celebrating Bike To Work Day! When? Friday, May 17. Meet at 7:00 am for a 7:15 ride. What? Ride with the pack from the Brentwood Trailhead to the Bike to Work Day ceremony at the Berks County Services Building (ceremony begins at 7:45am). This invigorating, yet easy ride of approximately 2 miles will be escorted by police and promises to be a fun, visible way to promote bicycling in Greater Reading. If you're riding from another location, join us for the ceremony at the Berks County Services Building, 633 Court St.
Refreshments will be served and riders have the chance to win a variety of prizes. 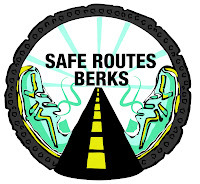 Safe Routes Berks is a program that introduces walking and cycling as fun, healthy, and environmentally friendly activities for school children ages 5-13. This professional development training is comprised of a 6 hour tutorial on pedestrian skills and safety lessons – including getting on and off of a school bus safely. Participants will begin the day at the BCIU and then be transported to a local elementary school for the outdoor walking training. Berks County teachers, public or private, who complete the training receive full access to the online resources and print materials, including teacher’s guide, activity books for students, and educational videos. Teachers will be given creative lessons and activities to fill existing curriculum -- as everything provided is aligned to state standards. In addition to walking for health skills and safety lessons, teachers will be provided materials for their students to learn to view their feet as good means of recreation, exercise and transportation. This is an outdoor workshop! • Click on “Quick Links” drop down box at top of main page. • Choose “MyLearningPlan” from the list. • Select Step 1: “Click here to view course catalog”. • Choose “title of event” session by clicking on the course title for course description and enrollment information. • Select “Click to Enroll” and then choose the link that applies to you. Example, “I’m a new user”. Enter your information as instructed. the Reading Area Transportation Study.